For three years, the Halifax Mooseheads junior hockey club has been crafting a team to host—and win—the 2019 Memorial Cup. But what if it’s built too well too soon? 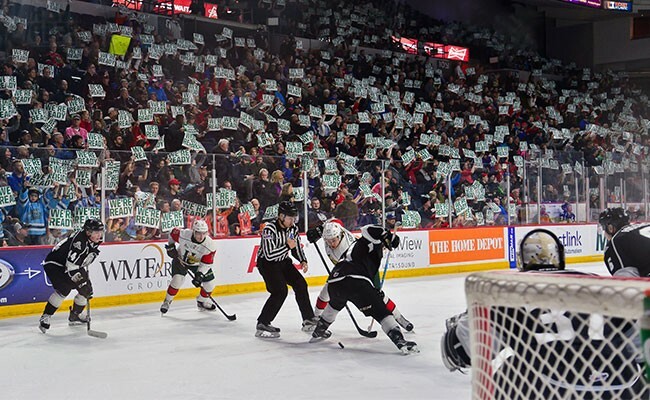 During a nationally televised game, Mooseheads fans sent a message about Halifax’s Memorial Cup-hosting readiness. I f you ask Bobby Smith to choose his "more rewarding experience"—winning the 2013 Memorial Cup championship as the up-in-the-stands owner of the Halifax Mooseheads major junior hockey team, or hoisting the 1986 Stanley Cup as an on-the-ice star with the legendary National Hockey League Montreal Canadiens—he answers surprisingly but without hesitation. "The Memorial Cup. "It might have something to do with being 28 when we won the Stanley Cup and 55 when we won the Memorial Cup," Smith allows. By then, Smith was in his 10th year as owner of the Mooseheads, had hired the "'right' general manager" and helped choose the best coach. Over the course of three years, he had watched—proudly—as the Mooseheads went from a team that "may have lost more games...than any team in the CHL to a team that may be the best junior team ever." As someone who was born in North Sydney, grew up in Ottawa, played professionally in Minnesota, Montreal and Minnesota again, and now lives most of his year in Phoenix, Arizona, Smith says it was "surprising and gratifying" to see the effect his team had on Halifax, including the number of fans who "put their lives on hold" to follow the team to Saskatchewan to cheer them on to the 2013 Memorial Cup. Winning, he says, became a community moment. "We sat down at the end of the season and decided who really deserved a Memorial Cup ring for their part in our achievement," Smith says. Including the 20-odd players, the number was 122. "Every recipient was deserving." No surprise then that Bobby Smith believes the best way to celebrate the Mooseheads' 25th anniversary is by hosting the 2019 Memorial Cup tournament in Halifax next May. What may surprise you is that when Smith first broached the question about when to apply to host the tournament with Cam Russell—the man Smith had handpicked as his team's general manager and the person credited with puzzle-piecing together that 2013 Memorial Cup-winning team—Russell's answer was succinct. By the time you read this, the 2017-18 Halifax Mooseheads will be gearing up for the second round of what they hope will be a deep dive into this year's Quebec Major Junior Hockey League playoffs, maybe an opportunity to play for the Q-league championship, perhaps even—cross your fingers—a shot at a year-earlier-than-planned trip to this year's Memorial Cup in Regina. You're probably reading this after 1pm on Thursday, April 5, 2018. That's when Q-league officials will announce the name of the Maritime city chosen to host the 2019 tournament. So you may already know whether the Halifax Mooseheads—one of the most successful franchises in Canadian junior hockey—will host the biggest week-long tournament/party on Canada's major junior hockey calendar. Or whether that honour/responsibility/burden will go to its cross-border Maritime rival, the Moncton Wildcats. If the Mooseheads win, Matthew Harris—the regional managing partner for Deloitte LLP, a Mooseheads' season ticket holder from Day 1, a key organizer of the last "best ever" occasion when Halifax hosted the Memorial Cup in 2000, and now the designated chair of the 2019 hopeful host committee—will begin assembling the 700-volunteer team to deliver what Harris predicts will be a new "best ever" bar for hockey and hockey celebrating. There's a difference, of course, between winning the competition to host the Cup and winning the Cup itself (though having assembled a winning team is one of the key criteria the selection committee considers). If the Mooseheads' hosting bid isn't successful—and even if it is—Cam Russell will be back at his general manager's desk, tinkering with the pieces, looking for best fits and plotting next steps so his team will be ready to compete for the Memorial Cup in 2019...no matter where it is played. If you ask Cam Russell when he began building a team to compete for the 2019 Memorial Cup, he will probably mention December 19, 2014. On that day—less than 18 months after the Mooseheads' first championship—Russell traded two key members from that team, goaltender Zachary Fucale and defenceman Matt Murphy, to the Quebec Remparts, mostly for a-year-and-more-into-the-future draft picks. One year later, Russell traded away the final four 2013 veterans in exchange for another "slew" of as yet unknown and untested youngsters. Russell is quick—and proud—to note that three of the veterans he traded "got to play for the Memorial Cup again. We knew we had to improve our team for the future, but we also wanted to make sure we put the players who'd been with us a long time in a good situation too. These kids are not commodities." Russell learned the importance of treating players well during his own nine-year career with the NHL's Chicago Blackhawks. "I was never a star," he says matter-of-factly, "just a hard-working, honest defenceman." After years of yo-yoing between the Hawks and their minor league farm team in Indianapolis, Russell had finally earned a permanent spot on the big team's roster in the spring of 1992 when his then-wife of just a year, Karen, died by suicide after a long history of "chemical imbalance and mood swings." The team rallied. "Everybody here on the team has been a good friend to me," Russell told the Chicago Tribune at the time. Nine years later, when Russell's own career was winding down and he wasn't getting much ice time with the Hawks, the team traded him to the Colorado Avalanche where he could get a regular turn on an injury depleted team and end his playing career with dignity. "They were good to me," Russell says now. "I would have gone through the wall for them. I feel loyalty still." As hockey stars, Finnish centre Otto Somppi, left, and Filip Zadina, a right winger from the Czech Republic, have to do things like pose for photos before a Mooseheads practise. So when Russell became the Mooseheads' general manager early in the 2010-11 season, he and Smith resolved to bury the team's traditional, mostly unsuccessful boom and bust, trade-for-this-moment and damn-the-consequences development strategy, and build their team organically by drafting and developing its own stars. Russell says now his immediate "Never" response to Smith's question about hosting the Cup "was half-joking, half-serious." He'd seen teams sacrifice their long-term futures to "build a Memorial Cup team in one season." It turned badly for the teams, and for the young players, who understood they'd become commodities. Adds Smith: "One of the most rewarding thoughts for me about our 2013 championship team was the fact that only four of our 23 players had ever played a QMJHL game for someone other than the Mooseheads...Cam assembled the team the right way." Others noticed. During the league draft following the Memorial Cup, the host congratulated the Mooseheads organization on its success. "We received a standing ovation from the fans in attendance, as well as the 17 draft tables of our competitors," Smith says. "It was both shocking and rewarding." Russell had resolved to follow the same process again, this time with a target of the 2018-19 season—not because anyone had yet suggested the possibility of hosting the Memorial Cup but because, in the cyclical world of junior hockey where players arrive as raw 16-year-old teenagers and graduate four years later as skilled 20-year-old men, the Mooseheads needed to touch bottom before they could rebuild. They did that in 2015-16, finishing the season 17th out of 18 teams in the QMJHL. They were bad enough, in fact, to get lucky—winning a lottery to choose who would pick first in the 2016 draft. There were two 15-year-old best players available that year: Benoit-Olivier Groulx, a star forward with the Gatineau Intrepide midget team, and Jared McIsaac, a high-scoring offensive defenceman from Truro, who had played in Cole Harbour. Which one should the Mooseheads pick? As Russell had done five years earlier when he'd dazzlingly wheeled-and-dealed his carefully acquired stockpile of draft picks to land that year's two best young players—future NHL stars Nathan MacKinnon and Jonathan Drouin—Russell began this time by selecting Groulx with his number one pick. Then he packaged seven other picks he'd traded for over the previous two years—two 2016 first-rounders and a second-round pick, as well as two second-round and two third-round picks in 2017—wrapped them in a neat bow and offered them to Baie Comeau in exchange for its second pick. Baie Comeau said yes, and Russell used that to claim McIsaac. Both Groulx and McIsaac, who are expected to be selected in the first round of this year's NHL draft, would become key building blocks for 2019. With another of his picks at that 2016 draft, Russell chose his goaltender-of-the-future, Alex Gravel. And so the Moosehead Memorial Cup universe began to unfold. Again. Smith says there was no "go/no go moment" when it came to applying to actually host the tournament, but, as it became clear Russell was putting together a Cup-worthy contender for 2019, "nobody was surprised when we announced our intention." Beside trading and drafting, there is only one other significant way to develop major junior teams: Through the annual draft of European players. Each of the 60 teams in the Canadian Hockey League—the umbrella organization for three regional leagues: The Western Hockey League, the Ontario Hockey League and the Quebec Major Junior Hockey League—is allowed just two European players on its roster. Unlike rival Western and Ontario leagues, which each have a far bigger pool of homegrown talent to choose from, as well as easier access to American players who don't count as imports, the Quebec league teams must depend heavily on European players to be their difference-making stars. 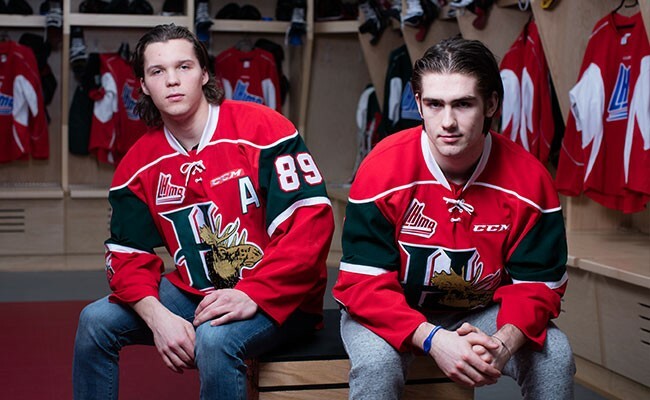 The Mooseheads boasted an excellent track record at discovering and developing European talent. Jakob Voracek, now a veteran all-star with the Philadelphia Flyers, and Marty Frk, a rookie with the Detroit Red Wings, both hail from the Czech Republic, and both came of age with the Mooseheads. So did Denmark's Nikolaj Ehlers, a 2014 first-rounder with the Winnipeg Jets who recently signed a seven-year, $42-million contract extension, and Switzerland's Timo Meier, a 2015 first-round pick of the San Jose Sharks. In the 2015 import draft that year, the Mooseheads replenished their European pool by landing one of their current stars, centre Otto Somppi from Finland, who led the Mooseheads in scoring this past season. The Tampa Bay Lightning selected Somppi in the seventh round of the NHL draft in 2016. In 2016, Russell chose sixth in the import draft, selecting 17-year-old Nico Hischier, another Swiss prospect who might—with luck—have been around for the 2019 Memorial Cup. But Hischier turned out to be too good. In his only season with the Mooseheads, he won 2016-17 Canadian Hockey League rookie-of-the-year honours while gobbling headlines and highlight reel footage during the mid-season world junior championships as the star of his national team. Scouts took notice. In June 2017, the New Jersey Devils selected him first overall in the NHL entry draft. In September, he made the team's regular line-up, achieving the rare feat of jumping directly from junior hockey to the NHL without passing through the training wheels of minor professional development leagues. Russell was delighted. "Nico's a special player, but also a special person." That said, Hischier's faster-than-fast development meant Russell would need to go back to the import drafting drawing board. Cam Russell knew which player he wanted in the Canadian Hockey League import draft. But would Filip Zadina be available when he finally got to select a player? It was the morning of June 28, 2017, and Russell was sitting in his office in the Scotiabank Centre staring at names on a computer screen. What happened in the next hour would matter, not only to the Mooseheads' on-ice prospects in 2017-18 and beyond but also, quite possibly, to the team's hopes of hosting and, more importantly, winning the Memorial Cup Canadian junior hockey championship in May 2019. Everyone knew 17-year-old Czech Republic scoring sensation Zadina was among the best junior-aged European hockey players available. Scouting reports referred to him as "clever," "dynamic," "explosive," a "potential first-round NHL pick" and even possibly the best Czech hockey prospect since the legendary Jaromir Jagr arrived in the NHL nearly 30 years before. Russell had first heard about Zadina through a freelance scout who accompanies him on his own intense twice-yearly European talent-spotting trips. The Mooseheads don't have their own European scout. "He works for a couple of teams," Russell offers without offering much. "We don't talk about who he is." The scout had spotted Zadina at a tournament a few years before, alerted Russell, and then kept in touch with Zadina's Prague-based agent, Michal Leimberger, while he charted the teenager's hockey progress. Russell himself had seen Zadina play twice: As a 15-year-old at the 2015 World Under-17 Challenge in British Columbia, where he scored a goal and three assists in five games, and then again at the World Under-18 Championship in Slovakia in the spring of 2017 where Zadina dazzled, scoring three goals and three assists in just five games against the best young players in the world. During that tournament, Russell had a getting-to-know-you chat with Zadina's agent and his parents, though not with Filip. "I never contact the kids themselves," Russell explains. "It's not fair for an [almost 50-year-old] guy to be approaching a kid directly." Russell sensed both Leimberger and Zadina's parents were keen for the young man to continue his road to the NHL in North America—and probably with the Mooseheads. But how interested were they? And was Zadina himself ready to leave his home and family? The year before, the Vancouver Giants of the Western Hockey League had selected Zadina with the fourth pick in the 2016 import draft—"We're excited to add Filip to our group," declared general manager Glen Hanlon at the time, calling him "a world-class player"—but Zadina never showed up. He opted instead to remain in his hometown of Pardubice and play for Dynamo, a men's professional team. Which meant Vancouver had squandered a valuable draft pick. Cam Russell didn't want to do the same. Zadina's season with Dynamo hadn't gone well. Still a boy among men, Filip ended up on the fourth line on a last-place team, rarely getting ice time. He scored just one goal and one assist in 25 games. Although it had initially seemed like "a good opportunity to play in my hometown," Zadina tells The Coast today, "it was a tough season, very tough." Filip Zadina, on the ice. His season made some Canadian junior hockey teams skittish. Was Zadina as good as he'd seemed in those tournaments, or would he wilt with age and tougher competition? Perhaps more importantly, did he really want to play in North America, or might he choose to remain in Europe for another season where he'd also been drafted by Lokomotiv Yaroslav, a Russian professional team in the Kontinental Hockey League? Trying to calculate what a teenaged boy might ultimately do with his talents, while figuring out how willing he'd be to work to develop those talents, is "scary," Russell admits, adding the annual CHL import draft is "by far the most stressful" of all his player-picking exercises. It's also among the most important. Russell's job at the 2017 draft was to not only find Hischier's immediate on-ice replacement but also to use his choice to show a CHL Memorial Cup selection committee Halifax could be counted on to ice a team that would legitimately compete for junior hockey's top prize in 2019. Landing Zadina would certainly help. But, thanks to the luck of the draft draw, the Mooseheads would not get to pick until the 11th selection. As usual, Russell had developed a list of five or so players he was interested in. He and his scouts had done their due diligence. That morning Russell had entered each of his chosen names in order of preference on a computer "whiteboard" controlled in the CHL's head office. If another team picked one of the players on his list, the name would disappear from the screen. Filip Zadina was still available! It did not take Russell more than a few seconds to confirm his choice. But Russell's relief quickly gave way to reality. "You're always rolling the dice," he allows. "As soon as we draft him, we know all the local teams back home will start pressuring him to stay. There'll be lots more discussions with his agent about our organization, our development of players, the coaching staff. Even if the agent is satisfied and the family is happy, even if the player says yes, you know he can still change his mind." Russell smiles, shakes his head. "Nothing is ever concrete, for sure, 100 percent. I'm not comfortable until the player arrives at the Halifax airport." "We've never been in better shape," Harris tells The Coast, recalling the "little tent" that was the main venue for pre- and post-game partying during the 2000 Memorial Cup. For next year's event, May 17-27, 2019, his committee is already planning a Hockey Hall of Fame showcase, an all-ages fan fest with entertainment and interactive exhibits, an outdoor big screen so fans can watch games "even if they can't get tickets." Tickets, by the way, will be affordable. "Bob has been adamant about that," Harris says. 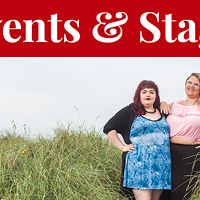 Local bars, restaurants and downtown businesses, not surprisingly, are on board too. Harris suggests the week could be worth "north of $15 million" in revenues to the city. Cam Russell has done what he can. As for Filip Zadina, he came, he scored, he conquered. On the ice and off, says Russell, "he's a star. The nice thing about him is he doesn't act like a star." Despite having to adjust to smaller North American ice surfaces and playing in just 57 of the Mooseheads' 68 games—he spent much of December and early January at the world championship duplicating Hischier's head-turning performance—Zadina finished second in team scoring, seventh in the league. Over the course of this season, Zadina scaled the ladder from a maybe-to-likely first round NHL pick to an almost certain top-five selection in June, possibly even in the top two. Zadina, who is billeted with the same family that hosted Hischier, "may not exactly be Nico Hischier," noted Sportsnet's Sam Cosentino, "but he's not too far behind." As for the Mooseheads' other import player, Otto Somppi, he will be 20 years old next season. 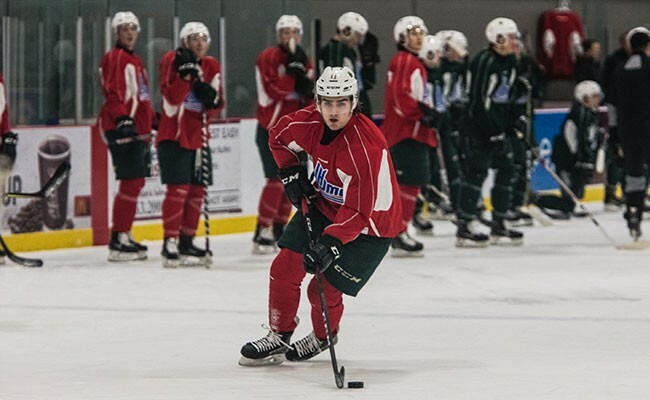 He could turn pro and begin his more step-by-step climb through the minor professional leagues toward the NHL or—if the Mooseheads host the Cup—Tampa Bay may feel a final overage season in Halifax would be best for his development. Cam Russell is well aware of what all that could mean. "You'd love to have all these kids until they're 20 years old," he told Sportsnet. "MacKinnon played in the NHL at 18 and Drouin 19. Ehlers left at 19, Nico last year at 18. That's all part of the game. As much as we would like to have them here, we still feel great for the kids to see that they've developed and that they're moving to the NHL." If whichever NHL team chooses Zadina decides he could use another year of pre-professional seasoning—especially if his junior team is guaranteed a spot in the competitive showcase of the Memorial Cup—then Russell, and Halifax Mooseheads fans, may have Zadina for another year. If not...well, Russell is already compiling his wish list for this year's June 28 import draft. There's still a Memorial Cup to host—or at least win. Stephen Kimber is the award-winning author of nine books—none about hockey—and teaches in the University of King's College Master of Fine Arts in creative nonfiction program. And, oh yes, he's been a Mooseheads season ticket holder forever.